Colroado State Representative Millie Hamner is currently touring her counties â Summit, Lake, Pitkin, Gunnison and Delta â to learn about what issues are of concern to the public. 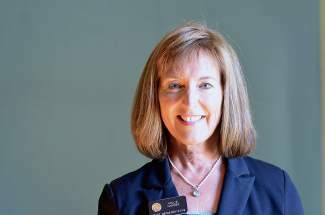 The Colorado legislative session might only run from January to May, but state Rep. Millie Hamner is still hard at work. As Hamner set out on a district tour this week, she was most excited about hearing directly from her constituents in Summit, Lake, Pitkin, Gunnison and Delta counties. One of Hamner’s main priorities is education. Before she joined the legislature, she was the superintendent of the Summit School District. On their ballots in November, Colorado voters will see Amendment 66, a two-tiered income tax increase that would raise an additional $950 million to fund public schools. For Coloradans making $75,000 or less, the state tax rate would increase from 4.63 percent to 5 percent. Those making more than $75,000 would see an increase from 4.63 percent to 5.9 percent. That translates roughly to an extra $166 per year for a person with an annual state taxable income of $45,000 and $595 for someone making $100,000, according to a June article in The Denver Post. Critics of the tax increase have raised concerns about the money paying for rising pension or health care costs for teachers, rather than directly improving education. However, Hamner said hiring quality teachers will help education as a whole, and those concerns have been addresses in the language of the bill and ballot question. PERA, or Public Employees’ Retirement Association, is the public pension fund for most state and school employees in Colorado. Voters must approve Amendment 66 for the Future School Finance Act, Colorado Senate Bill 13-213 — sponsored by Hamner — to be implemented. Senate Bill 213 includes provisions for how the new money from the Amendment 66 tax increase would be spent. The one-day, Oct. 1 student count could be replaced with an average from four days throughout the year. Districts are allocated state dollars based on student population. The bill also includes measures to ensure transparency in the way districts spend the money. Districts would be required to report all costs at the school level, while a new website would allow stakeholders to track spending and administrators to compare their costs with other districts and seek better deals from vendors. State Sen. Michael Johnston, a supporter of Amendment 66, recently told the Education Leadership Council private polling showed 52 to 54 percent support for Amendment 66. However, a Magellan Strategies survey of 600 voters showed only 38 percent support as of Sept. 18. Hamner said 80 districts in Colorado have gone to a four-day school week due to lack of funds. Hamner also wants to focus on revising teacher and principal licensure process in Colorado, since there are now new evaluation standards in the state. “Right now the statutes are outdated, and principals and teachers are trained under standards that are not directly linked to how well they will be evaluated,” she said. Even though Hamner represents a large portion of Western Colorado, she said she enjoys taking time to visit the voters in her district.